Review: The Original Josef Prusa i3 MK2! It doesn’t get any better than this! Review: The Original Josef Prusa i3 MK2 🏅 It doesn't get any better than this! This is where 3D printing is right now! I feel sorry for all 3D printer manufacturers that will have to compete with the Original Prusa i3 MK2. Review: The Original Joseph Prusa i3 MK2! It doesn’t get any better than this! So as it turns out, there are a number of issues with reviewing the Original Prusa i3 MK2. The first one being, it completely changed my frame of reference for how i’ll expect a printer to perform at a given pricepoint. And secondly, i guarantee you, there will be people calling me a sellout for this, but as always, this review was not influenced by anything other than my own experiences with this machine. So let’s take a look at why i think this is the absolutely best goddamn 3D printer on the market right now. But let’s start out with what this i3 is: If you’re at all interested in 3D printing, you will have heard the name “Prusa i3” or just “i3” or even “i4” for various 3D printer kits before, some of which have practically nothing to do with what the i3 actually is. The thing is, “Prusa” is actually a person, Joseph “Jo” Prusa from Prague, whose first popular design was the first Prusa Mendel, a cheaper and simpler version of the old Sells Mendel back in the day. Skip forward to today and you’ll find an almost 60-person strong team under the PrusaResearch brand, engineering and selling what is now the Original Joseph Prusa i3 “MK2” or “Mark 2”, i guess. That and only that is what we’re looking at today. If you’ve seen articles like “the 25 best Prusa i3 kits”, uhm, yeah, i mean, some of those machines are based on the open-source i3 design, but thinking you’ll get the exact same experience from any of the kits from far-east sellers would be like buying this Goophone i7 and expecting it to rival an actual Apple iPhone 7. You get the idea. Now, of course, the Prusa i3 design is completely open-source, both the hardware and software, and the MK2 comes with a bunch of very clever features for both of them. Let’s have a look at what the Original Prusa i3 MK2 promises specs-wise. So it’s still the familiar design of the vertical center plate carrying the Z and X axis and the M12 threaded rod base that carries that vertical plate and the Y-axis. This gives the MK2 a slightly plus-sized build volume that’s 250mm or 10 inches wide, 210mm deep and 200 mm tall. It’s printing onto the MK42 heated bed, so the solution to all problem apparently, and that’s a thick, custom PCB – or printed circuit board heater with no aluminum, glass, or anything else required to give it stiffness, since it’s already made from glass-fiber-reinforced resin, and to get your prints to stick, a thin PEI foil on top. This means it heats up and cools down fairly quickly, actually just as quickly as the hotend if you simply want to print PLA, and also ends up as a very light y-axis setup. The MK42 heater PCB also has zones with different heating properties that compensate for the bed cooling down faster at its edges, so you’ll get a very even temperature distribution at any point of the bed, which is important for printing larger prints with high-temp plastics, and having that genuine all-metal E3D v6.1 hotend in here means that you can throw any material at the printer – use PLA, ABS, PET, Nylon or particle-filled filaments like wood-infused materials with the stock setup and brass 0.4mm nozzle, swap in a hardened or coated nozzle for glass or carbon-fiber-reinforced filaments or add a Volcano heater and nozzle if you want to go, like, really fast. Or if you’d rather end up with even more precise prints instead, grab a finer 0.25mm nozzle. Spoiler alert: it already prints magnificently with the default setup, but of course, the v6.1 does give you a lot of flexibility there. Next to the hotend, we find something i believe should be mandatory for any 3D printer sold today: A bed probe. And not just any probe, but a smaller-than-usual inductive one, dubbed the P.I.N.D.A. probe, which apparently has a different meaning in Czech, and it’s a custom-made sensor that of course takes up less space and also runs reliably off of 5v directly instead of requiring some sort of voltage level adaption like the larger, standard industrial probes. The i3 MK2 uses the probe for several tasks: One, it does auto mesh bed leveling, which allows the printer to correct for a slight bow or warp in the build platform instead of just a planar misalignment, and two, if you built the i3 MK2 from the kit version, it also uses the embedded calibration spots in the MK42 heated bed to square up your X and Y axes, so even if you built it with the lower frame super poorly aligned to the rest of the machine, which can be tricky to get perfectly right, your prints will still come out square after your let the printer calibrate itself. Some reviewers actually left that part out completely. It does square itself up, no need to meticulously adjust it while building it. And both the mesh leveling and the auto-squaring were developed by the PrusaResearch team and are now becoming part of the main Marlin firmware as well, so that everyone can use them. Open source for the win! You’ll mostly be operating the printer through this decidedly unspectacular LCD controller, but i do actually like the way the clickwheel knob looks with this flap, which makes it super easy to use with a quick flick of a finger. I know, it’s the smallest of all details, but those usually do make the biggest differences. On the LCD, you get all the options for running the calibration routines, loading and unloading filament and it’s all not just dumb scripts, these will actually detect if something doesn’t look right, like the heaters not responding properly or the sensor not triggering at the height it’s expecting it to, so in plain words, if you mess up building the printer or something else fails, the i3 MK2 isn’t going to instantly destroy itself. So the entire machine is driven by a genuine Ultimachine Mini Rambo, which means reliable components for driving heaters and such as well as having a solid fusing concept that will protect the machine should anything ever short out. On the other side behind the frame we find a generic power supply without a fan, which does get warm to the touch during regular use. What’s awesome here is that it has this cover on its connector side, and this, in fact, also comes preinstalled even on the kit, so you will not need to wire up mains voltage into your machine, you simply plug in your power cord into the fused IEC connector and the other side into the Mini Rambo mainboard. That’s awesome! And the frame also gets grounded properly by having the power supply attached to it and even stiffened up by having it brace the vertical frame against the subframe. One thing about the entire wiring situation that stands out is that the most strained wire bundles, the ones going to the extruder and to the heated bed, actually include a piece of 3mm Nylon filament to keep them from kinking and wearing out from repeatedly bending in the same spot. And short of using an actual drag chain, that’s what i think is one of the best ways of taking care of such a wire bundle. So if you’re deciding to build the MK2 yourself, your should plan for a good five hours of assembly fun. And it was actually quite enjoyable, if you want to see my entire assembly process, check out the livestream’s recording here, it took me quite a bit longer, but then again, i was also trying to entertain about 500 people at the same time. The manual takes you through each step of the assembly and then through the automatic calibration and shows you how to prepare your own prints, and while the pictures in the printed version aren’t particularly great, you can also pull up the additional online guide alongside it and augment the printed one with the images there. Now, Jo Prusa actually sent me two machines, one assembled, one as a kit, and the assembled one actually came with a bit of shipping damage, it looked like the bed shipping lock came loose and broke its belt mount and tore the LCD case off the frame. The latter one only required a pair of zip ties to fix, and the belt mount, well, i used the part from the kit for that and then used the already assembled MK2 to print a replacement part, but obviously, PrusaResearch would just ship you the replacement part no problem. Drivers! The MK2 still shows up as a serial port when you plug it into any USB port, so you can use it with any printer host, be it on a full computer or a Raspberry Pi with Octoprint or any other cloud printing solution. However, it also identifies straight-up as a 3D printer to Windows 10 and, i believe, also to Windows 8.1, so you can use the integrated 3D Builder app to print things or print directly from professional CAD tools like Solidworks without even needing to ever touch a separate slicer or 3D printer host. That is pretty awesome, i think, and other than some 3D Systems and Stratasys machines, i don’t know of any other 3D printer that allows you to work that way yet. Basically, you get the i3 MK2 to show up as a printer device, you get a print queue for it and all applications that support the Windows 3D printer interface will be able to use it directly. Very, very nice. But of course, you can still use the traditional way of exporting your model as an stl file and taking that through a slicer. You get a preconfigured version of Slic3r, which is actually a newer and improved version compared to what you can officially download, and this one includes a full profile for the printer, for various layer heights and even after-market nozzle sizes – here’s where that smaller 0.25mm nozzle comes in – and for a bunch of different materials, covering all the basic ones from PLA, ABS, PET, over Taulman T-Glase or Bridge Nylon, and all the ones i tried ended up working absolutely perfectly – unless, of course, i messed up the settings myself, which, you know, you can still go in and tweak all of them, it’s just usually not necessary. If you prefer a different slicer, say Cura or Simplify3D, you can also download ready-to-go profiles for those from Prusa’s site. Now, having a ready-to-rock slicer like this is, in my opinion, one of the easiest and most effective ways to add value to any 3D printer. Because i don’t want to mess with tuning in a 3D printer and having my first ten or so print being complete failures, especially after i just spend half day assembling it already. And having sort of this one-click solution to slicing available just completely takes that step out of the equation, especially if you get profiles that are as well-tuned-in as the ones the MK2 comes with, pretty much all of my prints with this machine so far were done with the exact stock profiles and i just don’t feel a need to tweak them unless i wanted to add a new material that’s not supported out of the box. One more cool feature i’ve been using for years on most of my custom printers is the hotend priming on the bed edge instead of having the slicer draw a skirt around the print for that. Basically, you get a more reliably primed hotend and don’t waste a whole bunch of space on your printbed. Let’s move on with the software. You also get a firmware update tool for the MK2, as the firmware is continuously being improved, and, point in case, they’ve already had a look at the points where i screwed up in the unboxing and now have the printer tell you not to do those exact things. Also, there were some performance improvements already, but be honest, i didn’t have any issues with the firmware running out of processing power anyways. If you’re using the supplied Slic3r install, you’ll even get a notification on the MK2’s LCD before a print if a new firmware is available. Then, color print! While the MK2 is a single-color 3D printer, they’ve included some features to allow you to print in multiple colors by swapping filament mid-print. You can either do this through the LCD controller on any print, which you could also use simply to drop in a fresh spool of filament if your old one runs out, or by inserting color change positions to the ready-to-print gcode file before a print, and at those positions the printer will pause and ask you to swap its filament. So overall, that’s pretty much a flawless experience with the MK2 so far. Now, of course, it’s still a regular FDM-based 3D printer, a very good one at it, but it means it still has its limits, like any other machine, which means i still had a one print fail, this ginormous Squid Attack model, which i even scaled down and therefore made it even harder to print, but the overhangs on this one were just a bit too extreme and ended up curling up and getting the printer to skip. Now, there are two different run modes you can select on the MK2, power and silent mode. I had the MK2s on silent mode for most of the time, and that really does make them comfortably quiet with the hotend fan as the loudest part, but i guess going with power mode could have made the Squid Attack print go through successfully. Of course, the printer does also get significantly louder, so to make use of that mode, you should definitely have the machine in room separate from your living room. For family peace and such. So, let’s recap. The Orignal Joeph Prusa i3 MK2 is a 739€ or 699$ kit or an 999€ or 899$ assembled machine that punches way, way above it’s weight class. While it’s not your super-streamlined mainstream design 3D printer, it easily outperforms those with a form-follows-function approach, brings many innovative and actually useful features to the table and print like a champ. Again, the MK2 has the best and most consistent print quality – even straight out of the box with zero tuning – of any filament-based 3D printer i’ve ever seen. It’s literally got everything i’m looking for in a 3D printer right now and from now on, will be my new benchmark which other printers will have to measure against when it comes to ease of use, features and raw print quality. 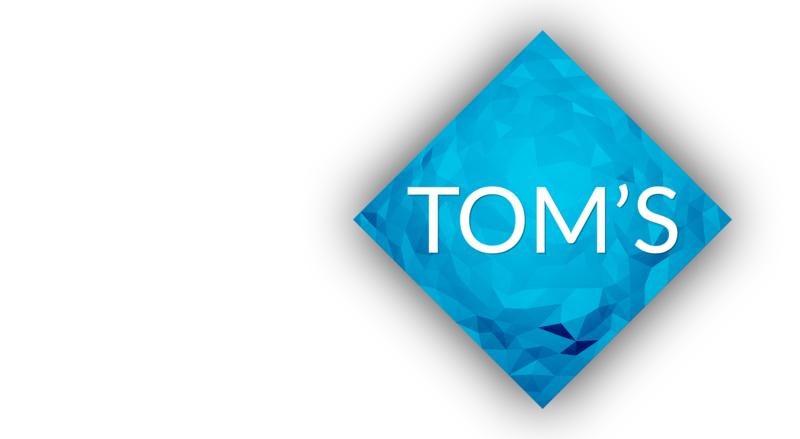 And to honor that, it will be the first 3D printer to receive the “Tom approves” badge. I actually designed that just for this review. Because, like, i’m super stoked about this machine if you can’t tell already. Alright, so there’s my compressed version of how the Original Prusa i3 MK2 performed for me. If you found it helpful or are now considering getting one, make sure to leave this video a like, if you thought the review wasn’t that great, feel free to make that a dislike, but as always, i’d appreciate your input on how i can improve my videos. Now, if you did enjoy, there are a few things you can do to support this channel and keep it going, of course, get subscribed if you aren’t already, then check out the Patreon campaign up here if you want to throw me dollar or two directly or simply shop on Amazon, eBay or Matterhackers through the affiliate links in the video description. And that’s it for today, thanks for watching and i’ll see you in the next one. Upgrade your 3D printer’s electronics! 🍹 Smoothieboard and ⚛ Atom3D 2.0!